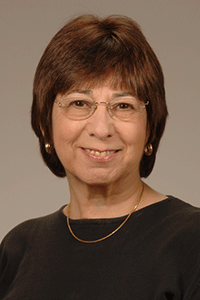 Dr. Ungerleider has been at the NIMH for over 30 years and in her present post since 1995. Her research has centered on the neural mechanisms of visual attention and perception, using functional magnetic resonance imaging (fMRI) in humans and single-cell recording in primates. Her work has shown that in a typical scene many different objects compete for neural representation due to the limited processing capacity of the visual system. The competition can be biased by both bottom-up sensory-driven mechanisms and top-down influences, such as selective attention. This biased competition model of attention suggests to Dr. Ungerleider that once attentional resources are depleted, no further processing is possible. The most recent work in her laboratory has shown that, similar to the processing of other stimulus categories, the processing of stimuli with emotional valence is under top-down control, requiring attentional resources.